DisneyQuest closed its doors for good on July 2, 2017. Although a staple of Disney Springs (formerly Downtown Disney) for almost 20 years, it seems that the indoor interactive theme park never received much attention from the Disney community. Some people may have not even known what laid within the blue walls of the building or how it even came to be. Today we will be taking a look back on one of the boldest projects the Walt Disney Company ever tackled that never achieved its full potential. Back in the 1990’s Disney was doing a great amount of expanding. One idea the company set out to do was find a way to bring unique entertainment destinations to urban areas not close to one of the Disney Parks and Resorts. This would be the reason for the company to create the Disney Regional Entertainment branch. 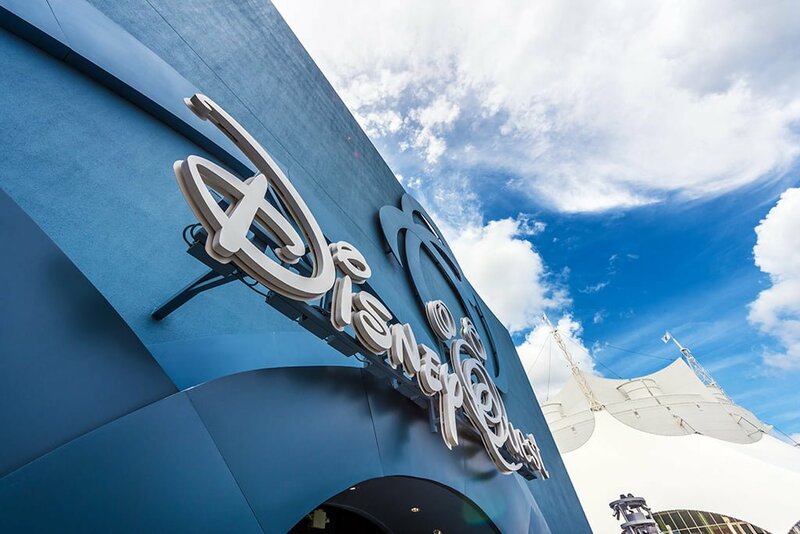 Their biggest project was to open an entertainment franchise known as DisneyQuest, an indoor entertainment venue housing high-tech, interactive Disney experiences. The beauty of the project was that a venue could easily fit in the middle of a big city without needing a vast amount of space. To test the waters, they opened the first DisneyQuest complex in Walt Disney World’s Downtown Disney in 1998. This location was successful due to it being within a major tourist destination. The second branch would open a year later in Chicago, Illinois. However, the same success could not be found in the Windy City. Locals were not attracted to the venue in the same way as the Orlando tourists were. Chicago’s DisneyQuest met its demise in 2001, and Disney Regional Entertainment would later dissolve. The remaining location would be handed to Disney Parks and Resorts, who could only keep things maintained; DisneyQuest would remain unchanged until its closing. Your quest would begin in the lobby awaiting one of two “Cyberlators”. On board, you would watch Genie from Disney’s Aladdin ham it up through a magic mirror. You would ascend to the third floor to find the “Ventureport,” which was the home to the gateways leading you into the four zones―Score Zone, Replay Zone, Create Zone, and Explore zone. Themed to an original comic book universe (Disney did not own Marvel at the time), this was the place to find all the latest arcade games and action-packed attractions. Mighty Ducks Pinball Slam let players stand atop a “Hoverduck” to guide a pinball on a large screen to score big. Ride the Comix was a VR experience that let guest battle against multiple comic book style villains. Lastly, Invasion was a four-person shooting game based off of Magic Kingdom’s ExtraTERRORestrial Alien Encounter. A multitude of some of the most memorable classic arcade games could be found in this zone, along with a headline attraction. Buzz Lightyear’s Astroblasters (not to be confused with the Disneyland dark ride of the same name) was a bumper car attraction that involved firing rubber “asteroids” at the other cars using an air cannon. Here guests could let their imagination run wild and be able to create various masterpieces. There was a Radio Disney Song Maker, Sid’s Create-a-Toy, and an Animation Academy. Best of all, you could buy and take home physical versions of what you made, such as CDs for songs, parts for toys, and a print for the academy. The main attraction was Cyberspace Mountain, where guests could create a rollercoaster and ride it in a motion simulator. The last zone was home to a few attractions over the years, but three stayed for a majority of DisneyQuest’s run. Aladdin’s Magic Carpet Ride was a VR flying experience, the Virtual Jungle Cruise had guests paddle a raft on a prehistoric river via a motion simulator, and Pirates of the Caribbean: Battle For Buccaneer Gold was a 3-D cannon shooting motion simulator that would later inspire Toy Story Mania. I was lucky enough to visit DisneyQuest a few times during its last weeks, and I have to say it hadn’t changed much since my previous visits, which isn’t good. If anything had changed, it was usually because they simply got rid of attractions. Ride the Comix was the only attraction they closed shortly before DisneyQuest did. The other attractions still felt untouched since their openings, which is very noticeable when the graphics weren’t state-of-the-art since the late 90’s. Only one of the original three dining locations were still open, and they were limited to selling basically flatbread pizzas and nachos. The CREATE Zone wasn’t selling creations anymore; they just asked you to take a picture or video of them with your smartphone. The only real change that happened over the years was the Wreck-it Ralph promotion that took place when the film was released. Remains of the promotion could be found scattered about, like Fix-it Felix machines in different areas and the SCORE Zone still playing Owl City songs for area music. In all, you could tell that it was running on its last leg. Although I may have discussed a lot of the problems that DisneyQuest had faced, I really think it was an amazing idea. The concept was novel, but I think trying to sell to locals was what really sunk it. If they were able to constantly update the experiences they had, it probably would have still been a popular part of Walt Disney World today. Sadly, plans don’t always follow through, and we’re only left with what could have been. I do hope Disney doesn’t become shy to make big risks like DisneyQuest in the future because something marvelous would sure come out of them.